This is similar method as Italian pasta. This is not complicated, takes a bit of a time but totally worth it. If you write “hand pulled noodles” on youtube you get few videos about how to do this by hand. Mix salt and egg yolk to the water. 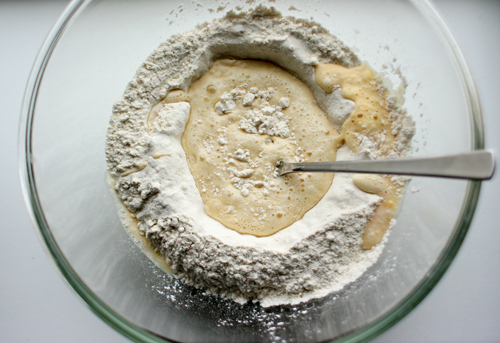 Put flour on the table or in a bowl. Put a den in it and fill it with the water until you have a good dough to kneed. Kneed it by hand for 15 minutes until it gets soft and silky. (Or just use your Kitchen Aid). 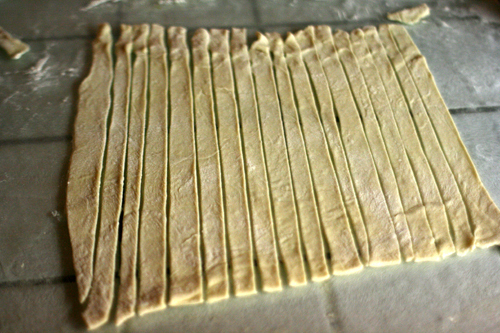 Roll out the dough, with rolling pin or pasta machine and then cut it in to noodle stripes. Boil for few minutes, 4-7 minutes. Fry everything on a wok pan. Add the nuts, coriander, soya and thai sauce in the end. Add the noodles and serve with Thai sweet chili sauce and soya. 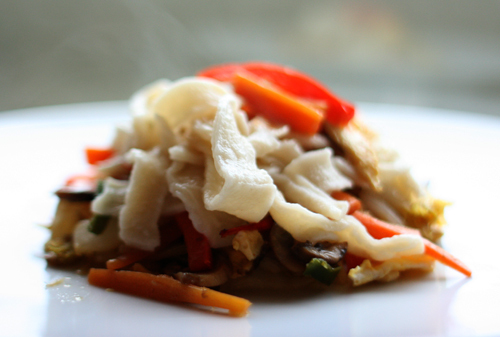 You can play with the vegetable in this recipe. Last time I also used carrots. The few first days of summer have been so nice. 10°c and no wind! 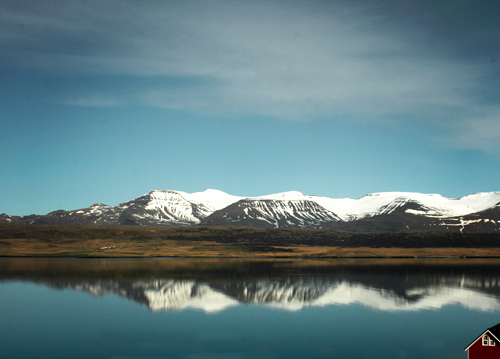 The fjord is like a mirror. We could even sit outside after lunch with Sangria and Club soda that our next door neighbors made for us because the sun was rather warm. 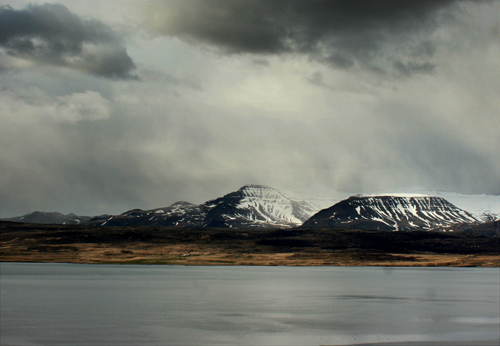 That´s Iceland for you. On the first day of summer we got few snowflakes, there was for a little while snowing in the mountains on the other side of the fjord and for only couple of minutes we got few flakes. 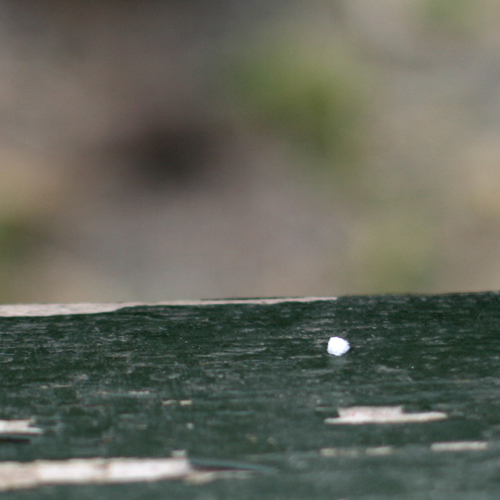 They say it´s a good sign when winter and summer freezes together. That happened this year. Yes, I said winter and summer. We never talk about spring here when we talk about the first day of summer, is´s just last day of winter the day before.